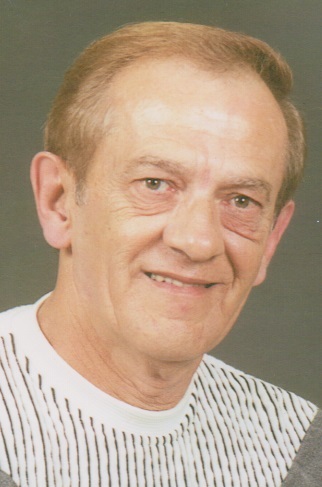 Paul E. Bigley 74, of Smethport, passed away Tuesday, September 25, 2018, at Bradford Regional Medical Center. Born June 29, 1944, Olean NY, he was a son of the late William H. and Ruth Estehr (Goodman) Bigley. He was a 1963 graduate of Port Allegany High School. On July 23, 2001, in Boseman MT, he married Janet L. (Leilous) Bigley. Paul enlisted in the United States Army on June 2,1965, he was honorably discharged on June 1, 1967. After the service he returned to the Port Allegany area and began working at Ball Incon Glass and retired after 30 years of service. Paul was an avid NASCAR fan and followed Casey Kahne and Bill Elliott. He raced Stock Cars at Rew and Smethport for many years. He was an avid hunter and loved puttering in his shop. He was preceded in death by his parents, three brothers, Chuck, Bob, and William "Mort" Bigley, three sisters, Alice, Pat, and Shirley. Private services will be held for family in the Hollenbeck-Cahill Funeral Homes Inc. with the Rev. Robert Brest, Pastor of the First Free Methodist Church officiating. Full Military Honor's by members of the American Legion Honor Guard, and burial will be in McKean Memorial Park. Memorial may be made to the charity of the donor’s choice. Thoughts going out to all the Bigley family members. Sincere condolences to the Bigley family. Paul graduated with my brother Jerry McDivitt but I also knew them as neighbors when we lived up Newell Creek Rd.